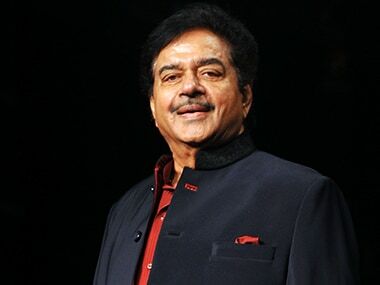 Patna: Hours after Yashwant Sinha announced that he was quitting the BJP, actor-politician Shatrughan Sinha dared the ruling party to take action against him if it wants to but made it clear he won't resign from its membership on his own. Shatrughan Sinha has been at loggerheads with the current BJP leadership since the 2015 Bihar elections. He has often taken a stance at variance with the official party line, including on demonetisation, implementation of the Goods and Services Tax, and on the Union government's policy on Kashmir. "I heard that the party is contemplating to take action against me since the Bihar Assembly polls but they did not take action. Are they so helpless that they will look for a mahurat to expel (me)," the Patna Saheb lawmaker said. His remarks at an event hosted by Yashwant Sinha came shortly after the former Union finance minister quit the party alleging threat to democracy under the present dispensation. The event was organised by the Rashtra Manch, a political action group Yashwant Sinha launched in January, at the SK Memorial Hall in Patna. During its launch, Shatrughan Sinha - popularly known as the "Bihari Babu" - led a group of politicians in joining the manch. Saturday's event was attended by a number of leaders of anti-BJP parties, including the Congress, the RJD, the TMC and the Samajwadi Party. 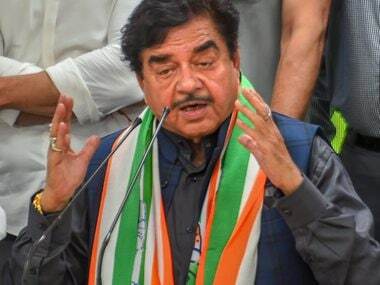 "Whenever they (the BJP leadership) want to take action, they can do so but they must remember Newton's third law that every action has an equal and opposite reaction," Shatrughan Sinha warned. He said he has always maintained he would never quit the party. "I have not joined the party to leave it. I have always maintained that this is my first and last party and I cannot quit the party. It's another thing if they want to leave me. But I will not violate the dignity till I am with the party." 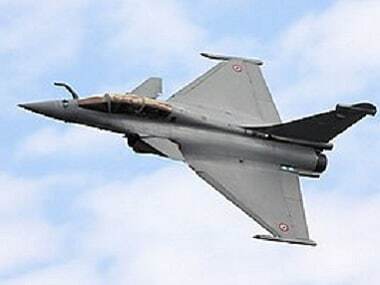 Making it clear that he was at the Rashtra Manch event because of his close ties with Yashwant Sinha, the actor-turned-politician said he has always maintained his personal relations and attended every social gathering organised by opposition leaders such as Lalu Prasad and Sonia Gandhi. Sinha, who rued about his non-inclusion in the party's list of star campaigners for Assembly polls in Bihar, UP and Gujarat, said he was astonished to see the UP Assembly election results. "How it happened. I don't know whether it was the result of EVMs or something else. I will not say anything on it," he said. "People say that it seems this is the government of Ali Baba and 40 thieves," Shatrughan Sinha said. He served as a Union minister in the NDA government of Atal Bihari Vajpayee. 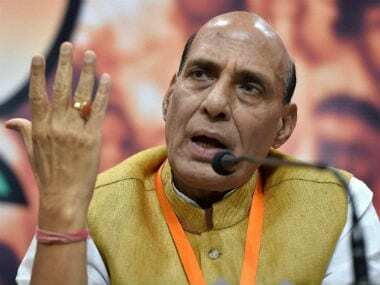 He and Yashwant Singh recently met West Bengal Chief Minister and TMC president Mamata Banerjee when she visited Delhi in her attempt to bring parties opposed to the BJP together.